I didn't think they would go for it, seeing as 15th street would take up a sizable chunk of the property, but AMLI arts center is planning for 15th street to be extended on the south side of their property. They've designed the building with retail, a gym, and a lobby fronting the future 15th street. Apparently GDOT actually owns the south half of the lot. So the street grid is slowly being glued together. Very nice. Always happy to see the street grid being fixed. Unfortunately from what I've heard they're contributing to keeping Spring a back alley by putting their garage there, but that's still good news and might encourage more infill between Spring and the connector. Are there renderings or plans somewhere? their garage will be there, but it will have retail on the ground floor and an artistic covering for the deck. it doesn't look so much like a deck. I hope that comes to pass as it would be a fabulous development & was one of the sidebar topics in a thread here about that specific area of Midtown about a month ago. A more orderly traffic flow would result in that area as 15th Street, which should have been completed on down to at least Spring St. when it was originally platted as a street, would more effectively carry traffic between Spring & Peachtree. That would be somewhat of a reliever for 14th St.
Perhaps 15th could even be extended on west down to the Williams St. segment at the base of the hill that operates both as a northbound frontage road & as the connection to the I-75 on ramp. Really? That's very good then. This will be a great addition all the way around (literally). Glad to see the super block slowly being broken apart. Pricing for the smallest units—650-square-foot studios—starts at more than $1,500 a month and quickly goes up from there. 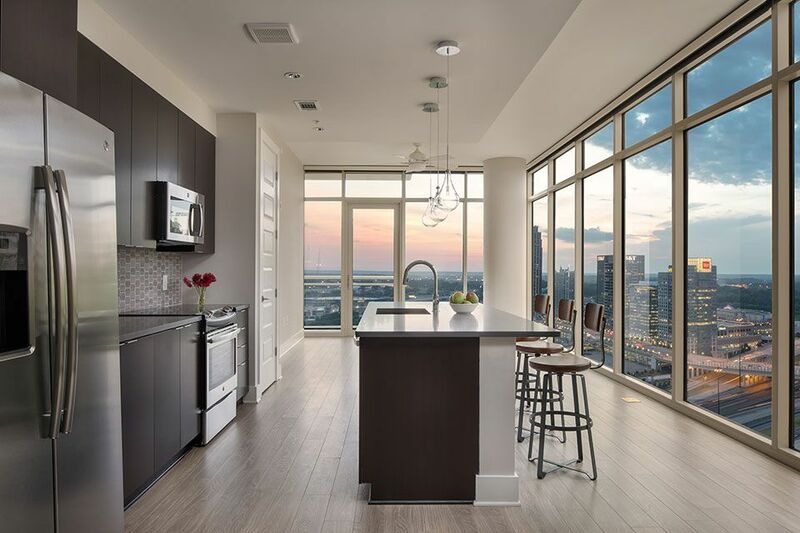 One-bedroom, one-bathroom options require more than $3,200 a month for some upper-level units, while two-bedroom, two-bathroom penthouses will go for more than $5,000 monthly. "One-bedroom, one-bathroom options require more than $3,200 a month for some upper-level units, while two-bedroom, two-bathroom penthouses will go for more than $5,000 monthly." And yet you'll hear people claim that density doesn't drive values up. I guess if Brookhaven would only grant some tax breaks to build another apartment complex these prices would come way down. And how much do you think a brand new high-end single family home would rent for on this site if we had artificially limited density here? Remember Econ 101, high demand and low supply gets you high prices. People want urban living and we are not building enough is the problem.